This lift is unique in the way it operates compared to its competitors. Summit’s patented retracting cylinder design keeps the stainless steel rod clean because the shaft retracts inside the cylinder as the lift elevates – unlike the competitors which is fully extended when in the up position exposing the rod to the elements. 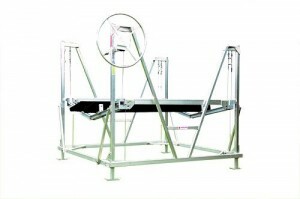 The frame on summit's lifts are top quality and offer a lifetime warranty! The hydraulic cylinders are larger than competitors resulting in lower pressure to operate the lift and less strain on the system. 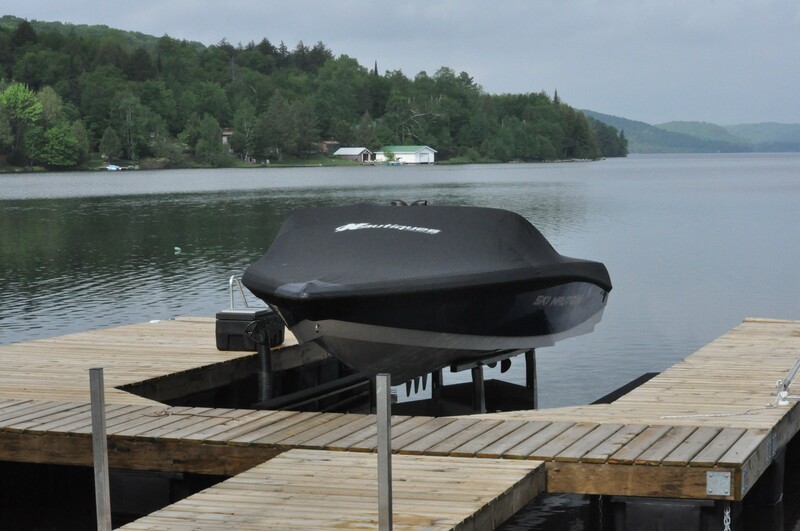 Because of their unique patented design, Summit Marine is able to offer a 10 year warranty on their lifts, with the exception of the frame which has a lifetime warranty! 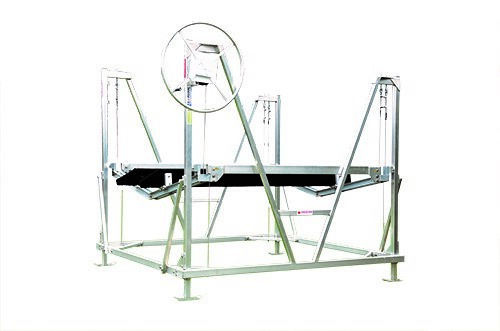 Why our Hydraulic Cantilever Boat Lift? 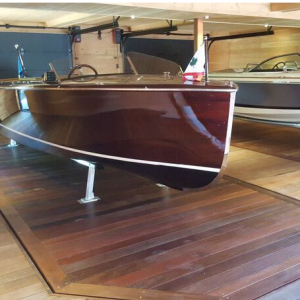 The hydraulic system will quickly and quietly lift your boat from the water with the push of a button on a remote control. The hydraulic pump and battery unit are contained in a dock box. 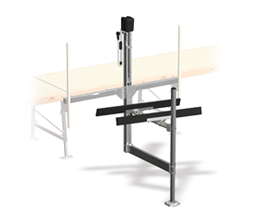 Patented Retract Lift System! 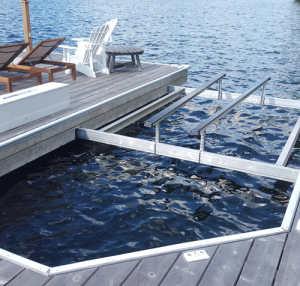 Cylinders close as the lift elevates – protecting cylinders from scale build up and Zebra Mussel problems, the #1 cause for premature cylinder failure. Less strain on motor and greater battery life! Larger cylinders than competitors allows for 32% reduction in working pressure. Less wear on gears, motor, hoses, fittings and cylinder seals. Drive on through! With a V center, you can actually drive you boat right through the lift. 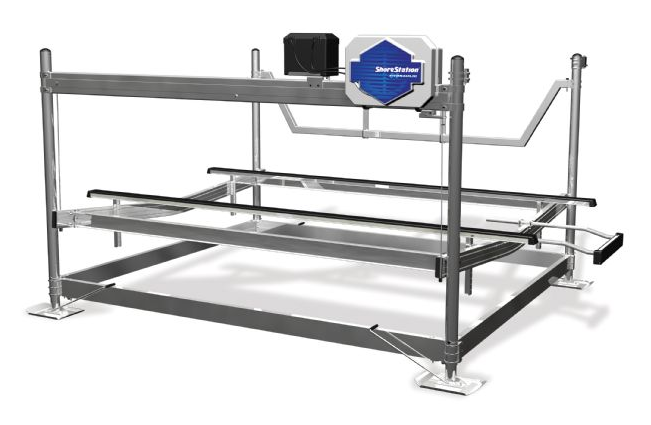 With 6' of vertical lift, this works well in areas of large water fluctuation or high waves. Also features full-length carpeted bunks and available in manual or electric operation. 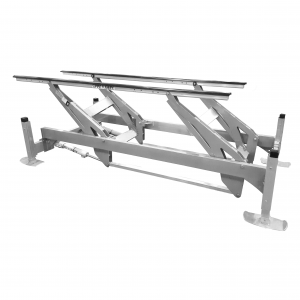 Manual 2,000 – 6,000 lb capacity. Electric 2,000 – 6,000 lb capacity. 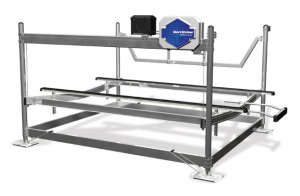 Launch your boat in less than a minute with this vertical hydraulic lift. Battery can be charged via solar panel or battery tender for flexibility. 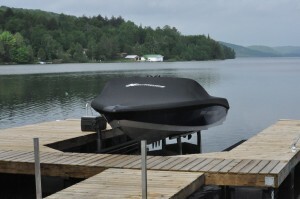 Features maintenance-free PVC bunks.